Will Your New Two Way Radio Work With Older Fleet Models? Will newer two way radios work with older technology? We get this question a lot here at Nova Communications. 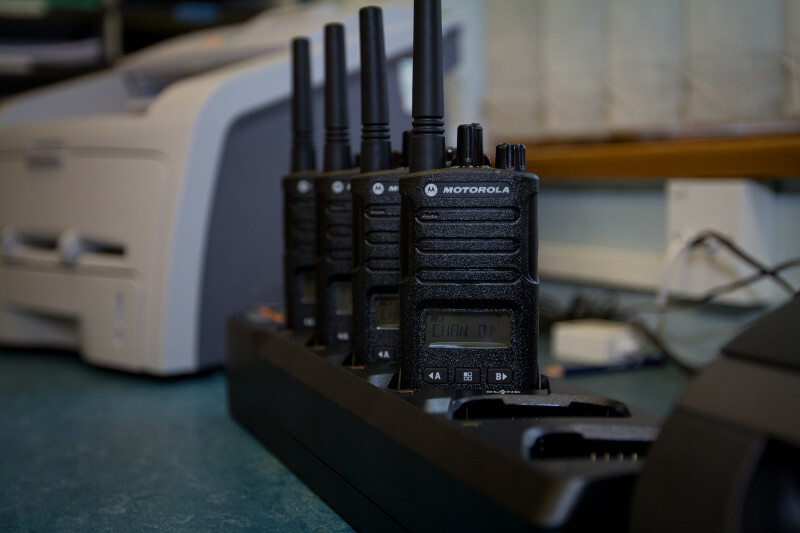 After all, investing in a large, new fleet of two way radios can be a costly endeavour if you require lots of radios for your team. But the good news is that there are ways to make that investment a little easier on your pocketbook (and that’s by a using a mix of newer and older radios). Do Newer Two Way Radios Work with Older Technology? If you’re using a mix of newer and older radios, both radios must be working on the same frequency and frequency splits. For example, a VHF radio and a UHF radio cannot work together, or a UHF radio with a 403-430 split cannot work with a 450-470 split. There are, however, two way radios that cover the whole spectrum of frequencies, which means that splits are less of a worry. But don’t fret, we get that this may be a bit too complicated to understand. Our staff here at Nova Communications are happy to work with you to figure out where your present technology falls, if that’s something you need help with. Both new and old two way radios need to be operating in the same mode – analog or digital. The newer radios today are either digital or digital/analog interoperable. The best bet if you’re using older analog radios is to buy a new radio that has the ability to transition between both. When you’re ready to switch to a digital fleet, it’s a quick process for your team. A number of workplaces have seen the advantage of digital technology in two way radios – from better range and audio capabilities built for noisy work environments, along with longer battery life – and those that have made the switch haven’t looked back. It’s important to note that there are different aspects to the digital platform, depending on the radio brand you choose. Motorola, for example, uses what is known as TDMA digital mode while other brands such as ICOM use FDMA. These different digital modes will not work together, so it’s best to talk to Nova Communications about getting the right technology for your team if you’re looking to add to your digital fleet. Digital two way radio has proven itself to a number of users in various industries in recent years with its ability to work better in noisy environments and provide greater range than analog radio options. 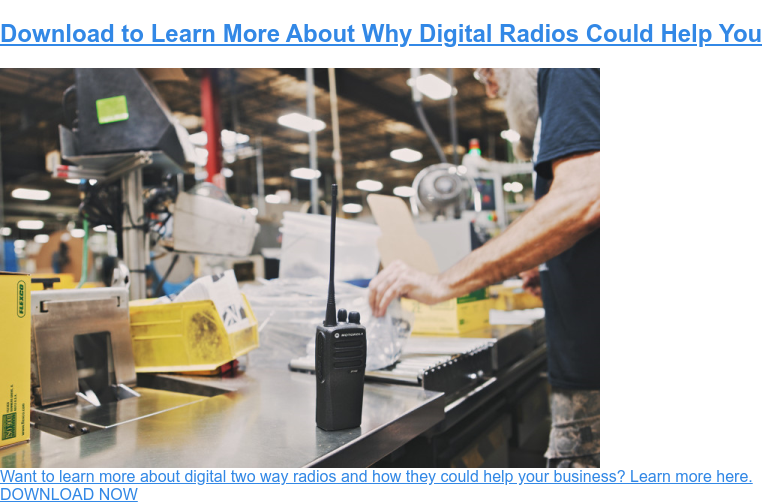 If you are working with older analog radios, or in analog mode with the newer analog and digital radios, you are not able to take advantage of these options – but they’re worth looking into for your workforce! Even if you have older, non-Motorola two way radios that you want to work with your fleet, there is a chance we can make them worth – it’s definitely worth the call to ensure we suggest the right products for your needs. Curious how much two way radios cost? Read this blog post. If you decide now is the time to upgrade, even if it’s just a few radios at a time, keep in mind that generally the accessories from your older radios do not work with newer models – so it’s important to consider that investment requirement. Some accessories, however, will work with newer two way radios – the CP200 and CP200d accessories, for example. Some of the accessories, however, available with digital two way radios, offer the same noise canceling capabilities as the radios themselves, the durability you need for rugged work environments, along with added features like Bluetooth. Nova Communications is often able to get the programming off of older radios as well – including frequencies and channel details – not just Motorola technology. This includes ICOM and other brands and models. Here at Nova Communications, we understand you don’t always know the answers to the questions above, and that deciding on technology can be a bit daunting. With more than 30 years in the business, our team of two way radio experts can help you figure out the next best step for your team. We can even help get your radios licensed with Industry Canada! If you want to get an idea of the best newer models of two way radios for your fleet, check out the free Portable Radio Selection Guide below. Want to find out more about whether your older fleet of two way radios can work with newer technology? Call us 24/7 at 1-(877)-721-7070 or contact us here. Nova Communications is Canada’s number online Motorola two-way radio dealer. Plus, we’re ISO certified, which means we’re an industry leader who always puts our customers first.